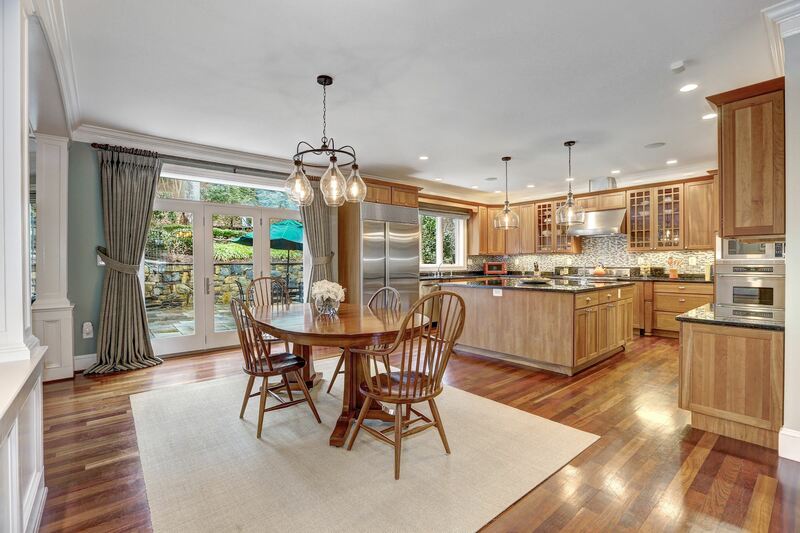 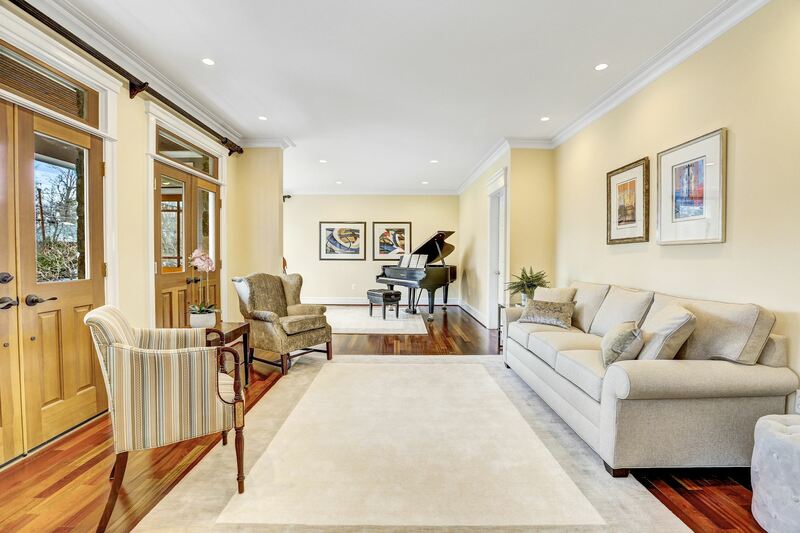 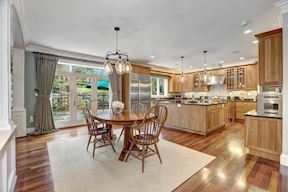 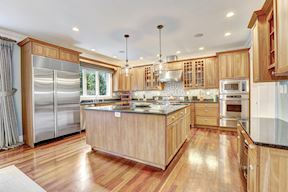 Located on a serene, wooded lot in sought after Glen Echo Heights, this custom-designed home embodies masterful design and modern luxury. 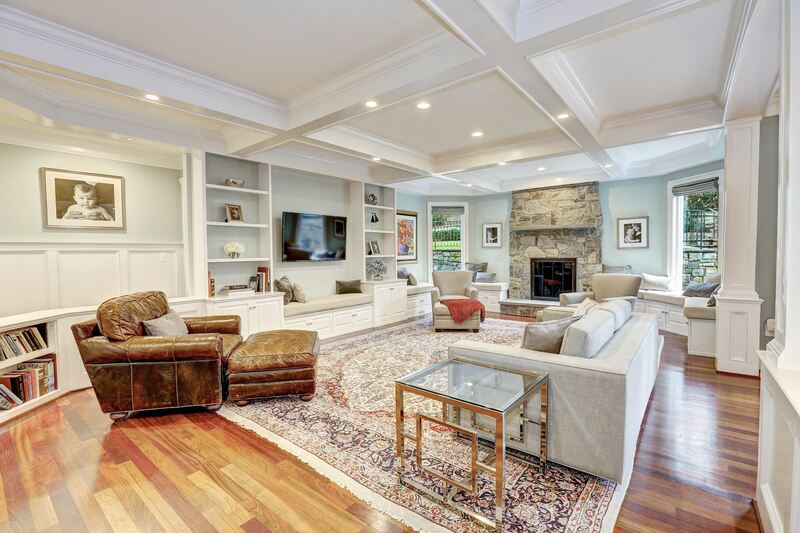 Built by Sycamore Builders and designed by award-winning architect Hendri Tirtanadi, this open floor plan is bright, versatile, and sun-drenched throughout, creating an inviting space ideal for entertaining and everyday living. 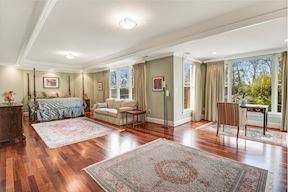 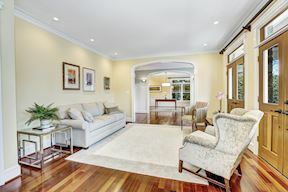 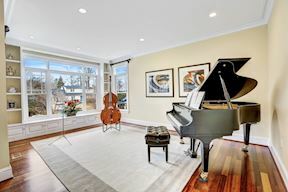 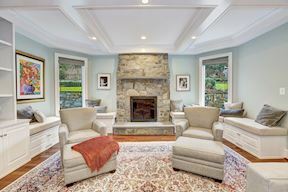 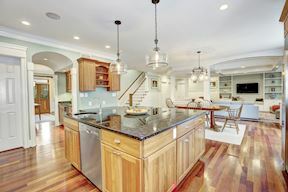 From the Brazilian cherry hardwood floors, exquisite crown molding, extensive wainscoting, and unique architectural elements, no detail has been compromised in presenting this home of distinction. 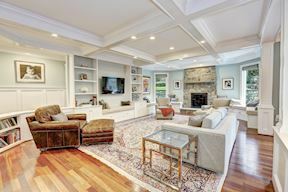 The main level features a number of spacious rooms, including a gourmet kitchen with a large center island, a generous family room with a coffered ceiling, wood-burning fireplace, built-in shelves/benches, and a second master bedroom with a private rear entrance ideal for an in-law suite. 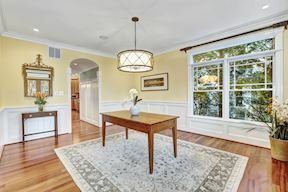 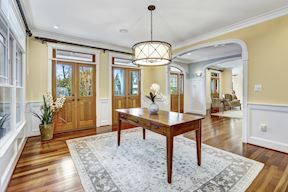 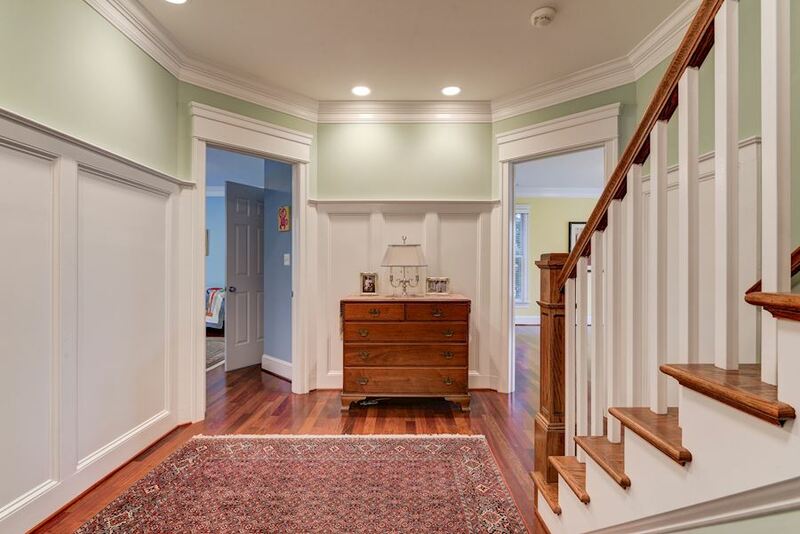 At the front of the home, find custom French doors running the length of the front porch, a formal dining room, a conveniently located butler’s pantry, an elegant living room, and a library that can function as an office with a private entrance. 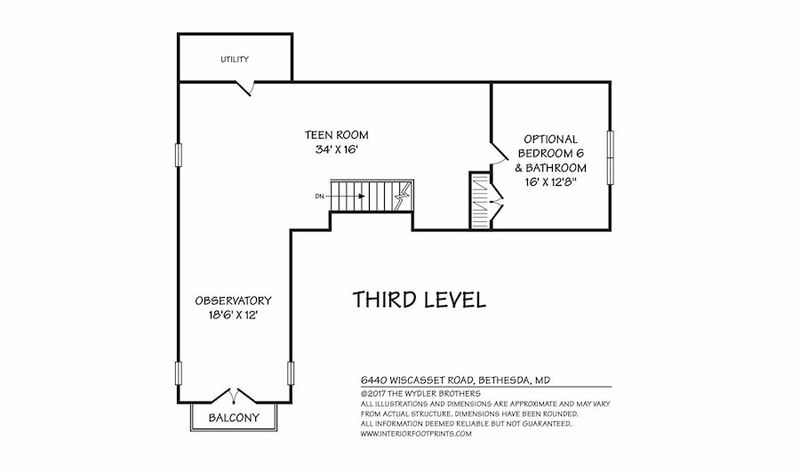 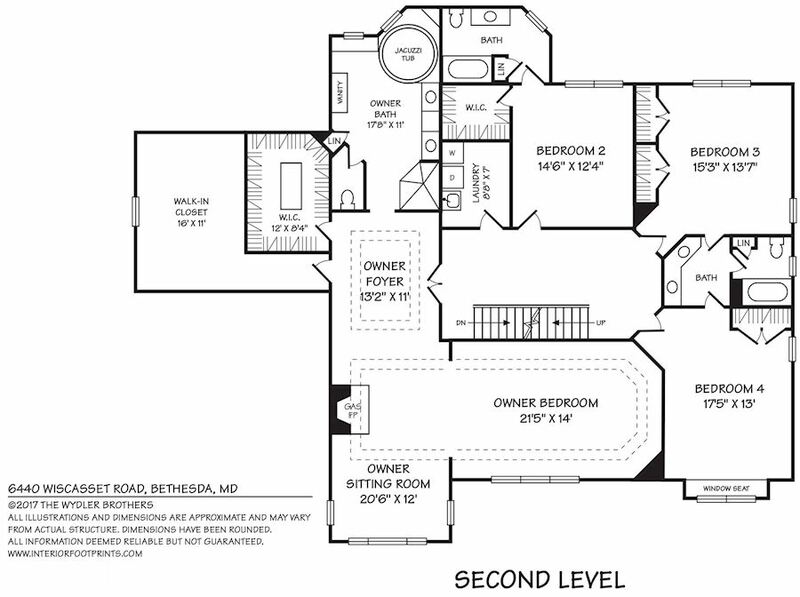 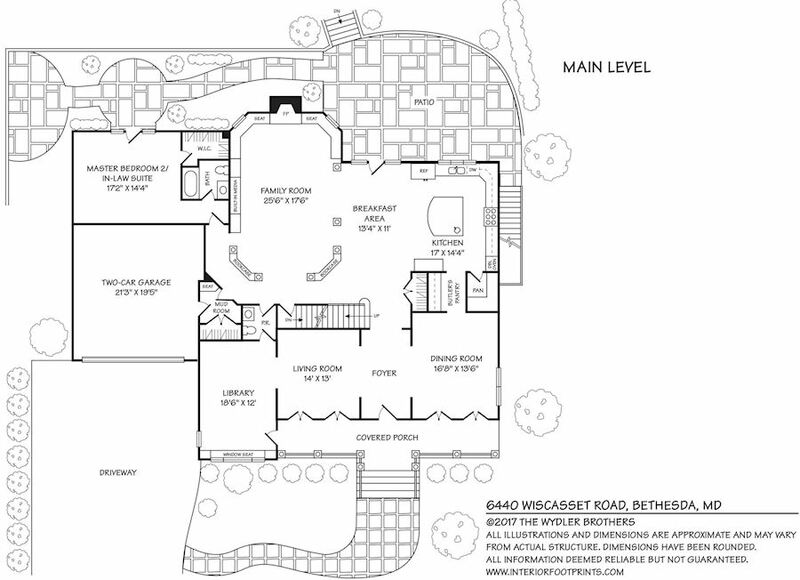 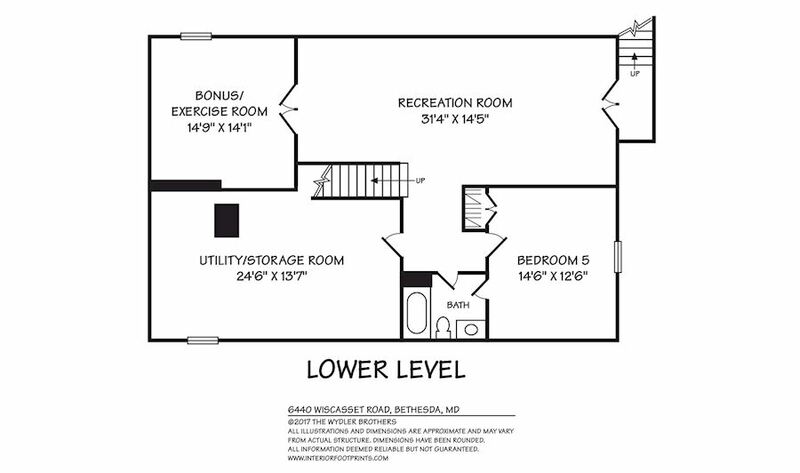 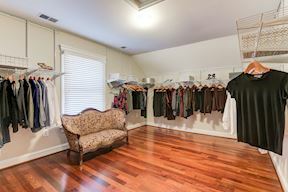 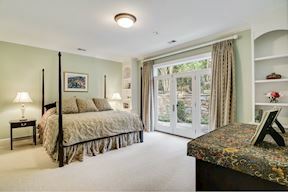 On the second level, find a luxurious master suite with an elegant tray ceiling, cozy sitting area with a gas fireplace, exceptional spa-like bath, and his/her walk-in closets. 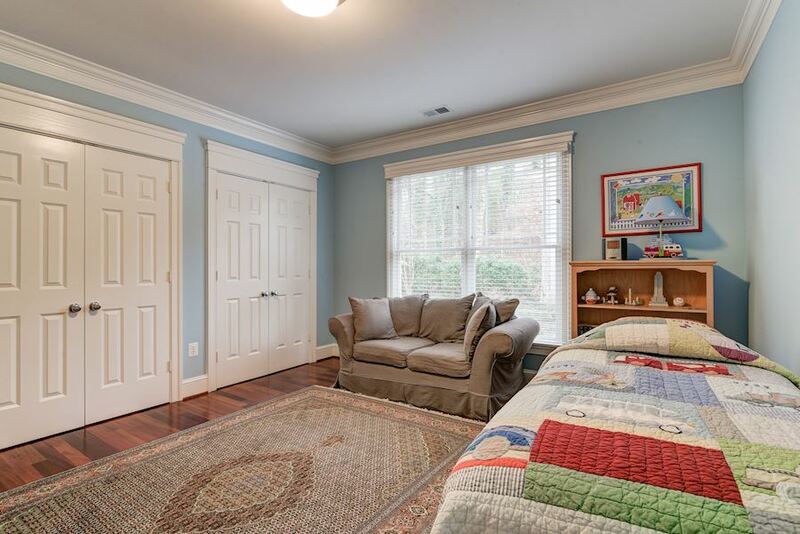 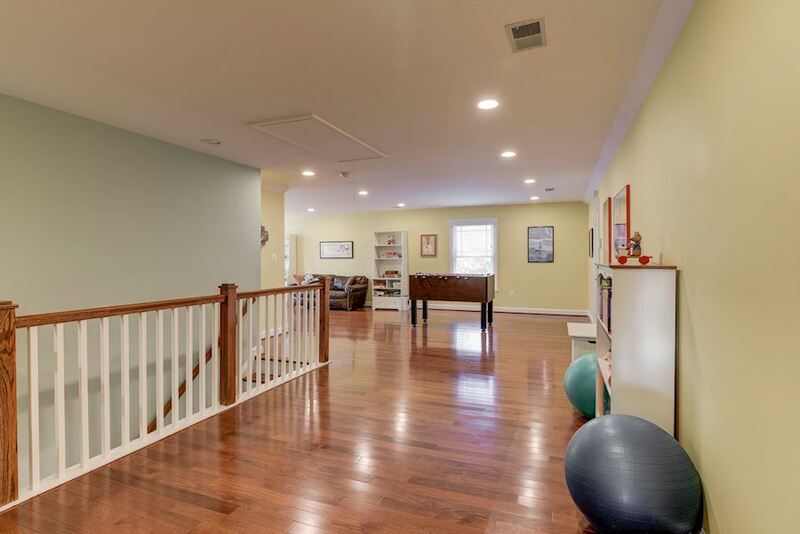 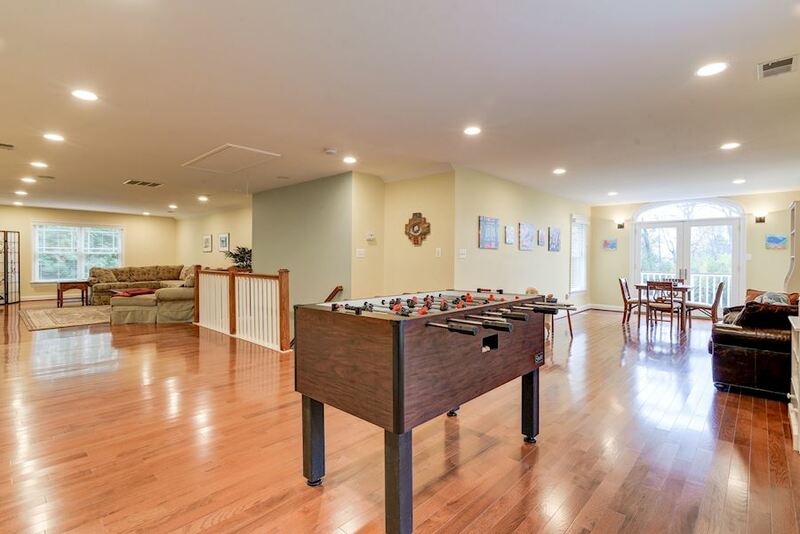 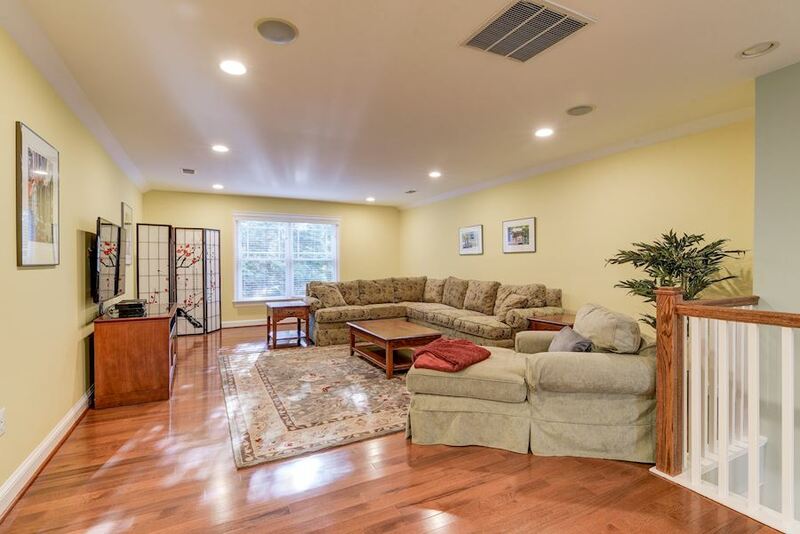 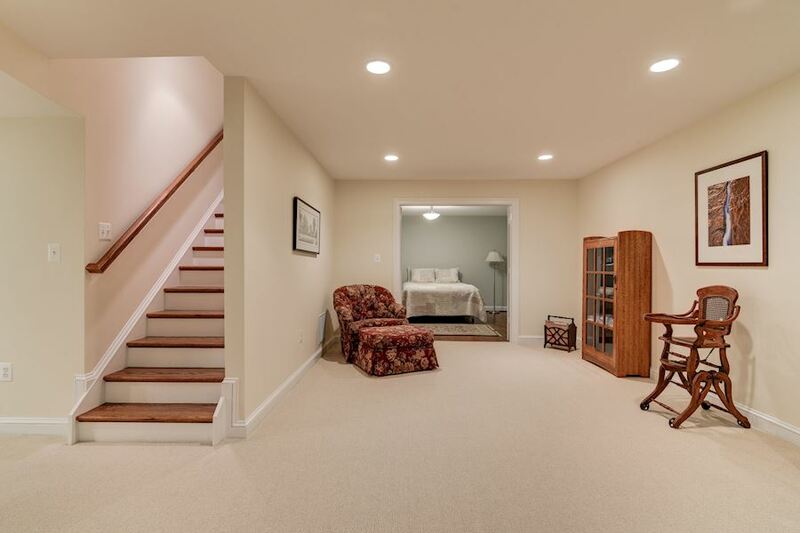 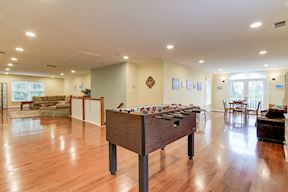 The walk-out lower level boasts a large recreation room, a bedroom and full bath practical for an au-pair, and a bonus room that could purpose as a gym. 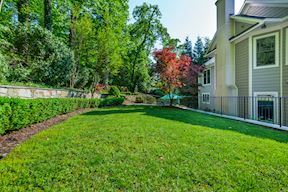 The professionally-landscaped outdoors serves as an extension of the home, including an expansive flagstone patio and gorgeous front porch. 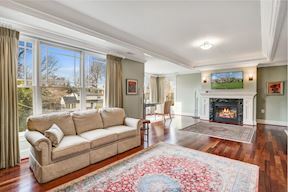 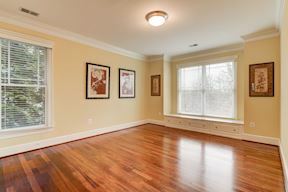 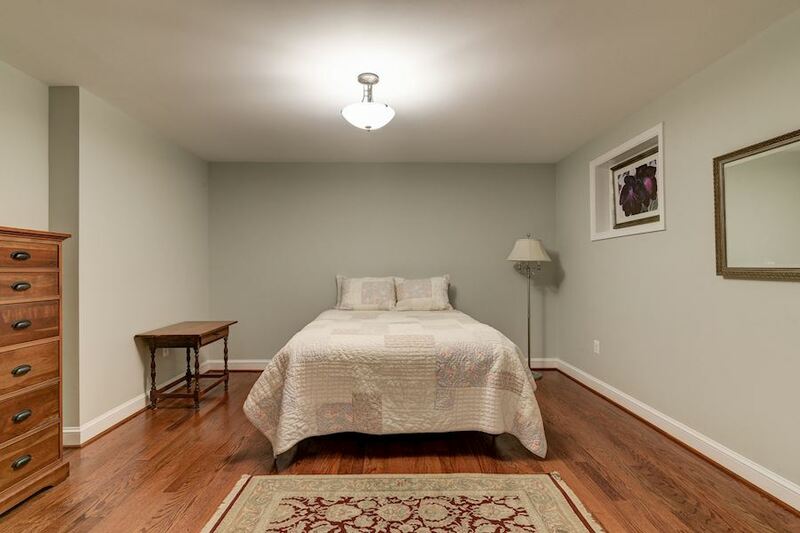 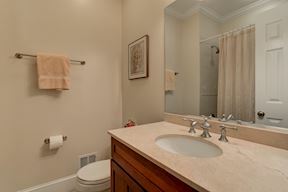 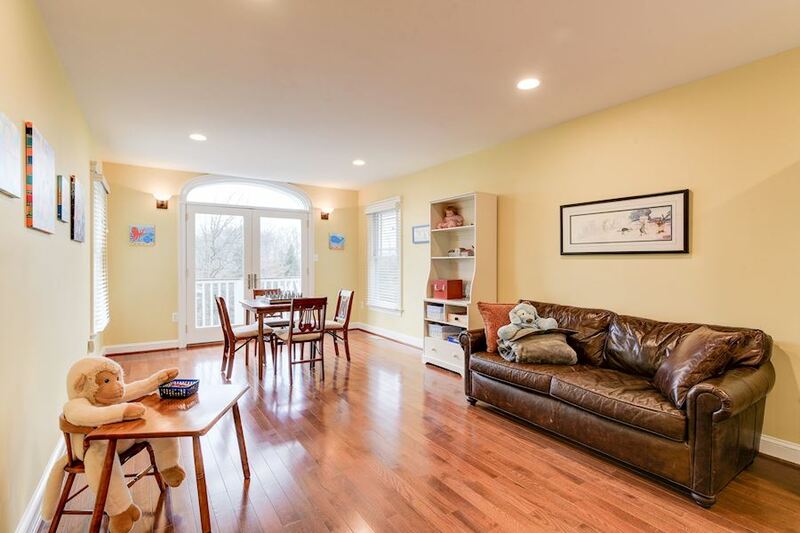 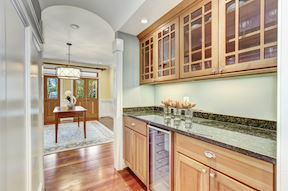 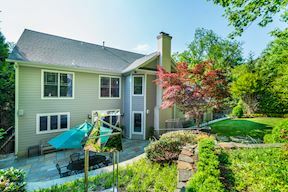 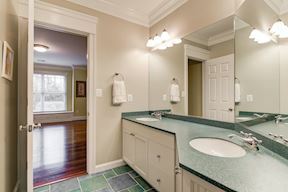 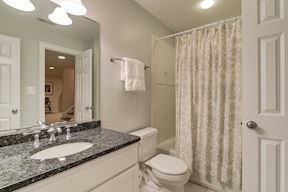 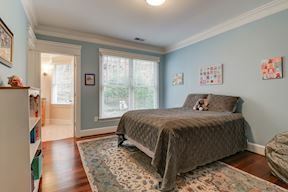 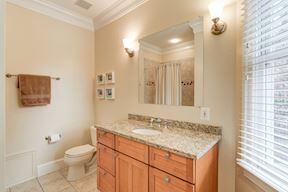 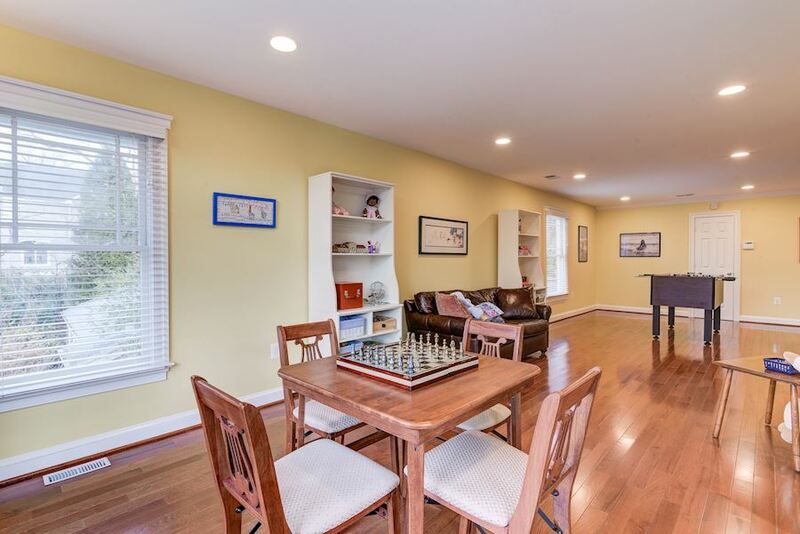 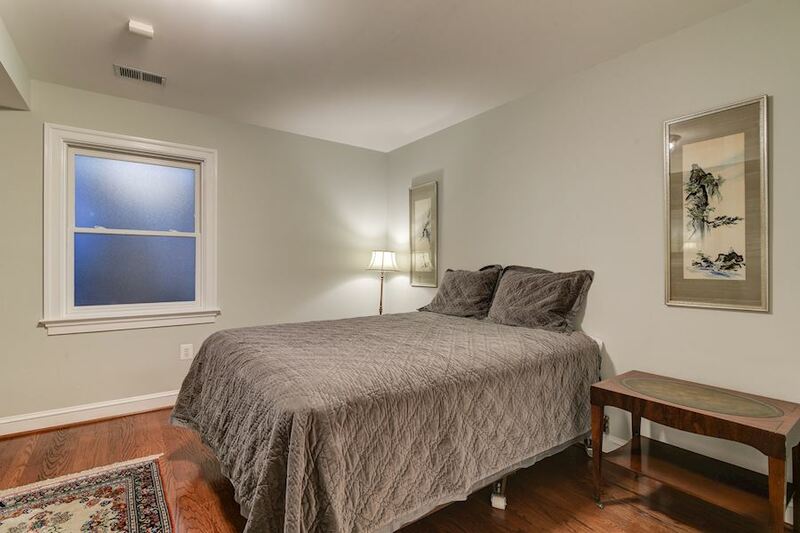 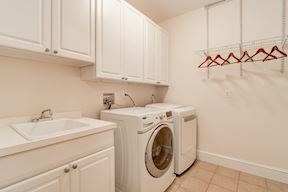 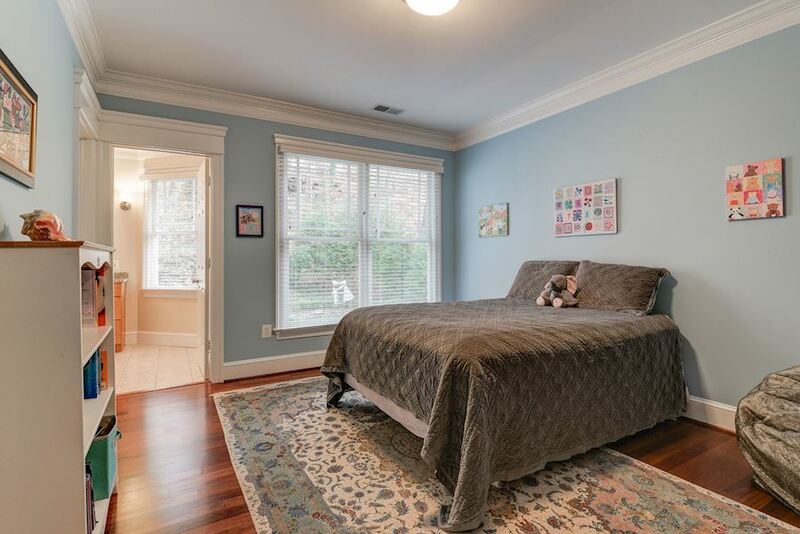 Ideally situated on a no-outlet street, yet still having a community feel, this home offers easy access to Washington DC, Virginia and all airports, while being convenient to the C&O Canal, and bike and jogging trails. 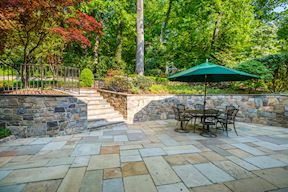 Licensed in DC, Maryland and Virginia, Hans has over fifteen years experience in sales, marketing and business negotiations. 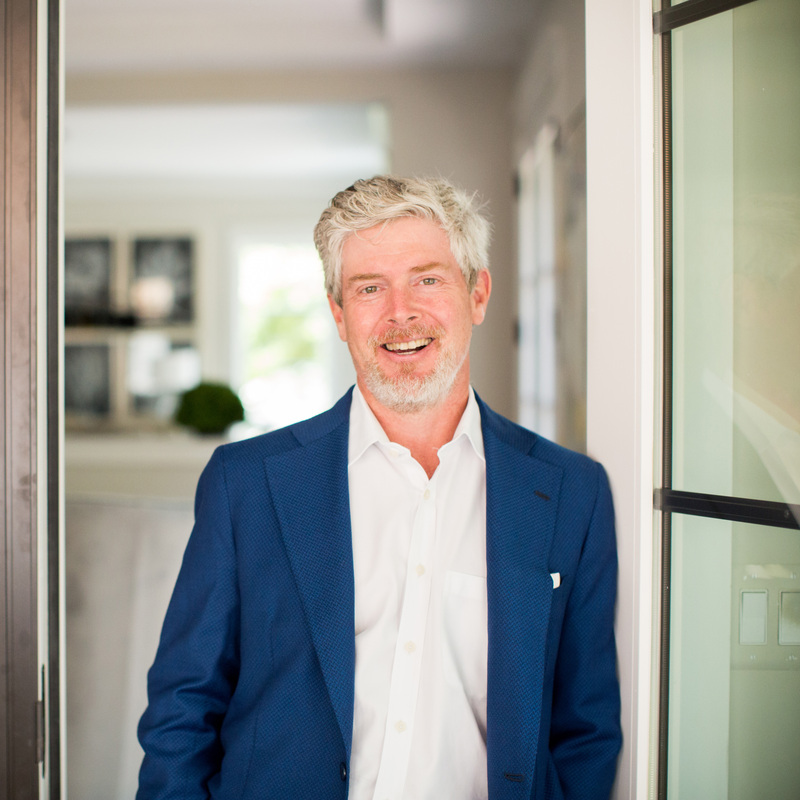 One of his office’s top producers, Hans is committed to ensuring that his clients receive professional, intelligent and courteous service. 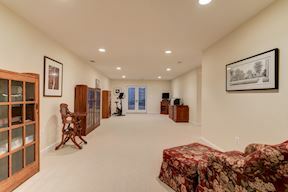 As a private investor himself, Hans can also help you with the purchase or sale of investment property in Washington, DC, Maryland or Virginia. 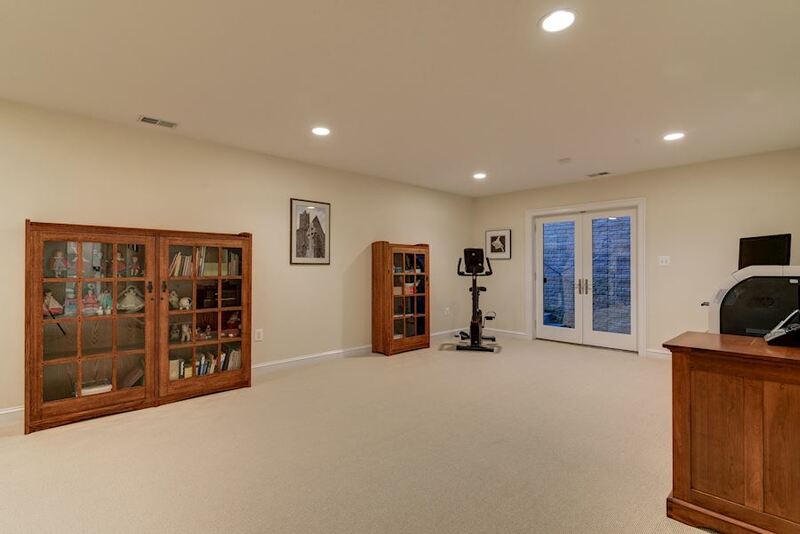 Hans has an M.B.A. from Harvard Business School, and a B.A. 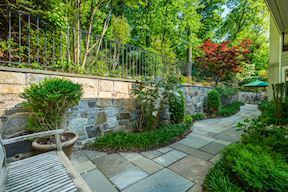 from Yale University.